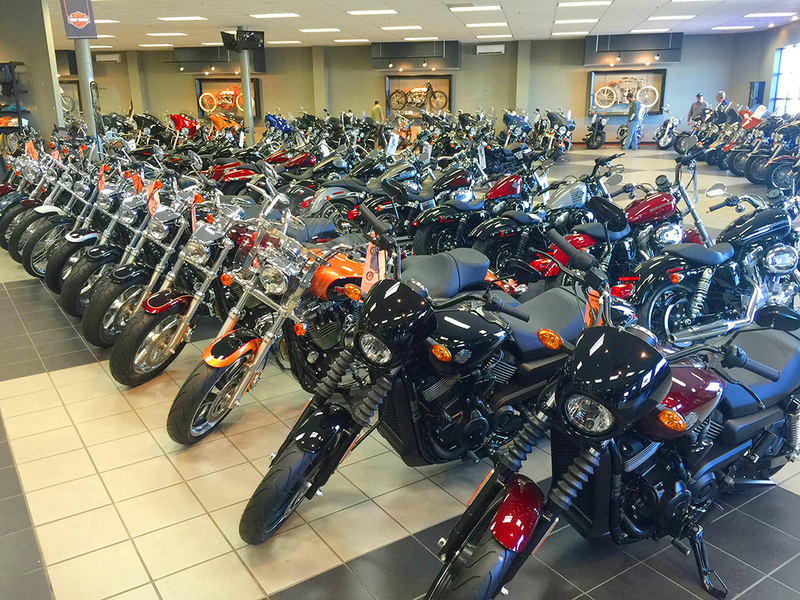 Over the years, Brandt’s Harley-Davidson has been actively involved in the City of Wabash. On Thursday, Oct. 20, the efforts of the Brandt family and it’s employees were honored when the business was named the 2016 Wabash County Chamber of Commerce Business of the Year during the Chamber’s 75th annual dinner. The presentation was just one of several presentations made during the evening, which also saw longtime Wabash City Council member Joan Haag honored as the 2016 Distinguished Citizen. Mike Brandt and Leila Knoblock accepted the award on behalf of the dealership. People around the country have fallen in love with Wabash. That was the word Monday, Oct. 17, when Deluxe Corp. Chief Brand and Communications Officer Amanda Brinkman and others involved with the Small Business Revolution returned to Wabash to essentially bring closure to the SBR contest the community won earlier this year. Deluxe Corp. sponsored the Small Business Revolution, which offered the winning community of an online vote a $500,000 makeover. The Minneapolis-based firm used half the money to help six local businesses with both material and non-material support such as advice and business lessons. The other half was used to help improve the downtown area. The old school facility outside the Town of Roann may be one step closer to demolition. Representatives from the town attended the Oct. 24 meeting of the Wabash County Commissioners to ask for assistance in applying for Indiana Office of Community and Rural Affairs (OCRA) grants to cover the costs of the project. “I want you to be a partner with the Town of Roann,” Clerk-Treasurer Bob Ferguson said. Two Wabash homes have been spared from demolition. The Wabash Board of Works and Public Safety on Thursday, Oct. 20, heard a progress report from Terry and Josh Mullett on a structure at 990 Pike St. The Mulletts said they have contracted with a company to repair the roof at the site, and are beginning to work themselves to repair other aspects of the home. After taking gold at prelims two weeks ago, the Manchester Jr.-Sr. High Squire Band took the field at Lawrence Central High School on Saturday, Oct. 22, for ISSMA Scholastic Class Finals. While the full official results are not publicly available, the band’s season ended at Lawrence Central outside of the top five positions. 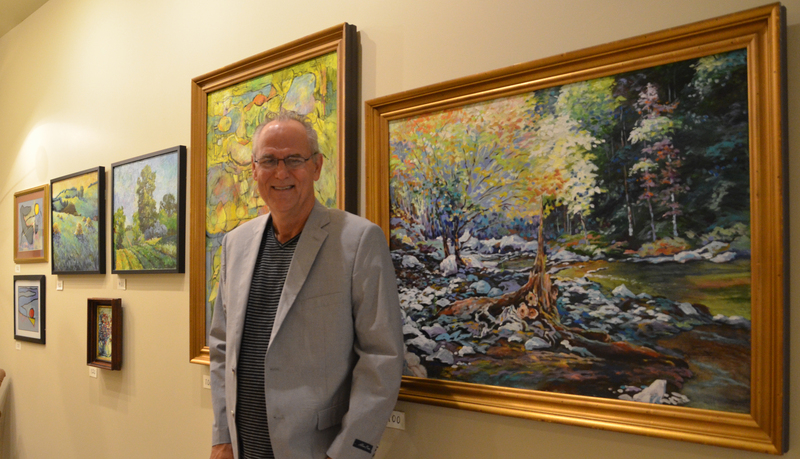 Wabash resident Terry Pulley’s artwork now hangs in the 49 W. Market St. studio after the award-winning artist opened his business, Alley Dog Fine Art Gallery, on Friday, Oct. 7. After a lifetime of learning how to paint, Pulley, a self-taught artist, said he decided to open his own art gallery with his wife Teresa’s blessing and support, because it has been one of his dreams. “I’ve been an artist for probably close to 50 years,” Pulley told The Paper of Wabash County. “I didn’t not do this as a profession, but I’ve always been involved in the arts. I’ve shown in many galleries … and so know the gallery business, I know the art business, but one of the things, and it’s always been one of my dreams, is to have my own gallery to where I can just show my works and I can just be in charge of all the decision making." There’s a new song about the City of Wabash. “Keep the Light On” was written Thursday morning, Oct. 20, by Nashville singer-songwriters Aaron Barker and Marty Dodson, along with students from The Access Learning Academy. It was one of several songs written by the pair and students around the area as part of the Honeywell Center’s Outreach Education Program. 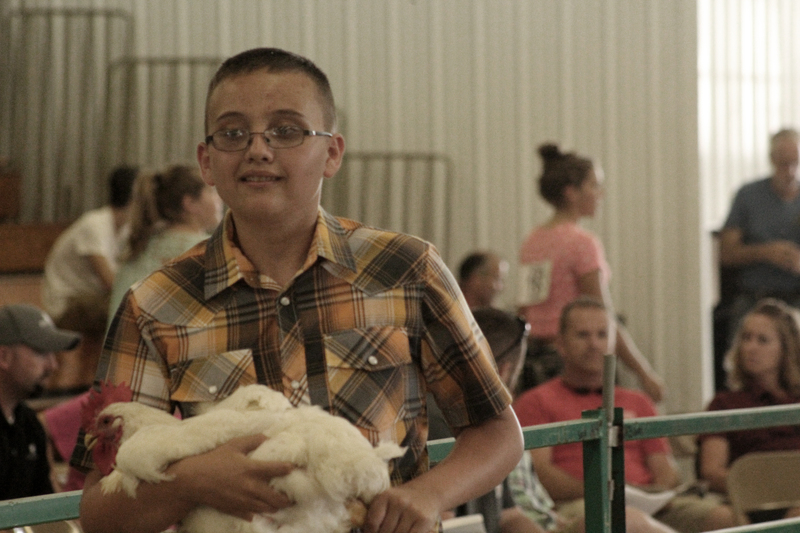 A Wabash County youth will begin a quest this week to raise money for the local Shop With a Cop program. Brenton Yarger will begin standing in front of Walmart raising funds for the Christmas program that helps underprivileged children have a good holiday. Beginning Saturday, Oct. 29, Brenton will be outside Walmart on 10 days, raising funds and collecting aluminum cans which he recycles and puts the proceeds toward his fundraising efforts.